Area 41 Car Audio in Kennesaw has been a leader in vehicle security systems, or car alarms, since 2004. 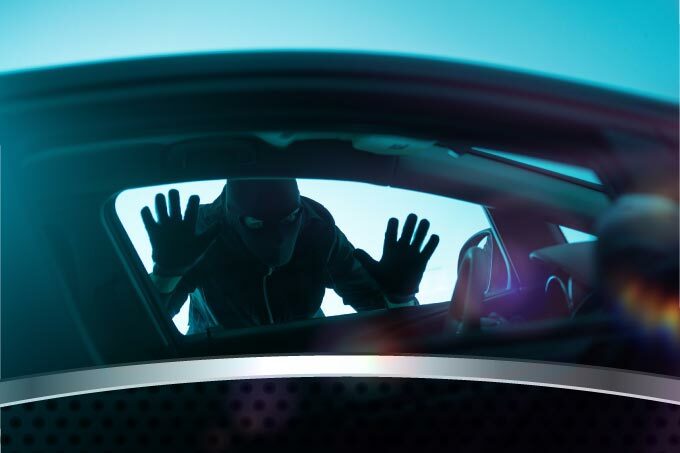 Our team considers a vehicle as their pride and joy, and few things make us sadder than hearing about a vehicle that has been stolen or seen theft of its contents. Fortunately, our systems are great deterrents and a valuable asset in recovering a vehicle if it is stolen. Our Compustar Drone system harnesses the power of your smartphone and the Internet to give you an easy way to keep tabs on your vehicle. It integrates seamlessly with one of our security systems and will notify you in the event the alarm is triggered. Even better, it has an option to give you real-time tracking and notifications if the ignition is turned on or the vehicle is moved during a certain time of day. Imagine being out of town on vacation and someone takes your car, using a tow truck. Your Drone system will alert you even though you may be thousands of miles away. Now you can call the authorities and give them the option to live-track your vehicle, helping to recover it before the situation gets worse. You need a small data plan for a Drone system – any of our staff will be glad to go into details with you. Everyone knows that a normal remote control communicates in one direction; from the remote to the vehicle. Our two-way systems also allow the vehicle to communicate back to the remote, letting you know if someone is tampering with it. Now you may have the opportunity to defuse a situation before it gets worse. It also confirms when the doors lock or unlock, and if the vehicle is remote started, should you add that option. Our normal packages include coverage of all the entry points in the vehicle, but optional sensors can help immensely to ensure you are well-protected. Our popular sensors include an impact or shock sensor, glass break detectors, proximity sensors, and a digital tilt sensor. We love the tilt sensor because it can alert you if someone is jacking up your vehicle to steal your wheels or put the vehicle on a tow truck. When it comes time to have the system installed, our technicians take all the time needed to do so properly for a system that will give you years of reliable service, as well as hiding product as best as possible. Everything we do is designed to maximize your protection. The best way to experience Area 41 Car Audio is in person. We invite you to stop by and meet with one of our experts about a security system for your vehicle. You can also click HERE to e-mail us.